We asked previous PADI instructor and current SDI instructor, about the differences between the two organisations. Her views are below. What are the differences between SCUBA Diving International (SDI) and Professional Association of Dive instructors (PADI), and the benefits and drawbacks of each agency? One difference is that SDI was developed from dive professionals in the technical diving field. PADI has deep roots in recreational diving and has stayed true to these roots. Also the recreational diver must understand that each certification organization is simply a marketing model with the goals of producing a safe product, YOU THE DIVER! So in truth the different dive certification organizations have the ability to travel different roads, but all roads must lead to the same goal. Founded by Technical Diving International (TDI, the largest technical dive agency in the world) SDI has the unique advantage of seeing the recreational diving community through the experienced eyes of technical diving. SDI was created with the philosophy that past practices should re-evaluated in the light of new technology and that recreational scuba instruction should reflect the actual needs of open water divers. Standards that ensure genuine diver safety while maximizing the pleasures of learning to dive are the foundation of SDI's diver training programs. SDI has re-examined limits that are arbitrary or based solely on tradition and developed new guidelines using scientific data and common sense. SDI believes divers should be trained from the beginning to take advantage of new technologies and the freedom to dive deeper or longer or both - with greater safety. Divers can progress through SDI's recreational levels, then transition smoothly into technical diving with TDI. PADI Mission Statement: PADI exists to develop programs that encourage and fulfil the public interest in recreational scuba and snorkel diving worldwide (PADI Instructor Manual, version 2.7pdf [12/02]). This comparison came to me by virtue of a discussion on a scuba board forum. The discussion was started by a NAUI instructor, not me. PADI, is arguably the largest recreational dive organization and has sought to provide the dive community with a safe predictable dive experience for this class of diver. It is a large corporation and to that end limits corporation liability. PADI lives and breathes liability containment, and here lies it s flaw in providing innovation to the dive community. "PADI to me is like McDonald's Hamburgers, you can t deny the ability for McDonald's to provide a specific average quality of burger world wide. The same is true of PADI anywhere in the world you can find a PADI facility that will provide you a predictable type of dive experience." My position on this is that this is not an insult, only the acceptance, that, if you teach towards a certain range, your divers and instructors are for the most part going to lie within that range. This could open the perception that the problem with the PADI motto, To teach the world to Dive" is clearly not everyone in the world is capable of diving, nor should they. Do you by attempting to teach the world to dive actually prevent the sport from developing to a form were it remains fun and challenging? Does teaching the world to dive means you focus on the average person, which leaves you to dropping the poor diver and limiting the experience of the above average student? Does focusing on the average person lead to a higher profit return? Yes, focusing your money making efforts on the average will reward you with higher short end return. I found the difference in paperwork requirement is much greater in PADI then in SDI. The demand for paperwork does little to improve an instructor's teaching ability or a student's retention ability. Outside of the need to exclude undo legal liability all organizations are paperwork heavy. My SDI instructor manual is half the size of the PADI manual and it doesn't teach anything less than the PADI manual. I actually had a PADI student give up and leave my shop when faced with the paperwork trail PADI required. I remember clearly the days when PADI was pro hunting. The organisation has moved away from underwater hunting training and never officially embraced solo diving. Why the change? Does not training diver to hunt actually decrease hunting? You certainly don't decrease hunting, but you loose the opportunity to have a positive influence over educating divers how to hunt with sustainable methods. The same is said for Solo Diving. Not offering instruction is not going to limit the number of solo divers. But what you then get is divers untrained, diving solo. 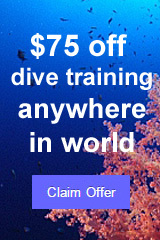 SDI clearly fosters diving for divers and encourages diver to press forward with the proper training. PADI feels its profit margin or liability reduction will be better served by ignoring solo diving, but than they teach towards the average. But apparently teaching toward the average is very profitable for PADI. So outside of Solo diving and Underwater Hunter there are no major differences in course offerings. The ability for SDI to teach to a higher comprehension with greater opportunity at skill development is something PADI course of instruction can't meet. To understand this go back to paperwork requirement and liability reduction strategy used by PADI. Also as an SDI instructor I feel no pressure to provide a specific number of certification per month unlike when I was a PADI instructor. I definitely felt pressure to certify to a given level when I was a PADI instructor. I found by experience that the successful PADI instructor is not so much the best instructor at teaching divers, but the instructor who produces the most certifications. Have no confusion, modern recreational diving is a for-profit business. It is in direct competition with all other recreational sports. The recreational dive business is competing with skiing, boating, climbing, hiking, bicycling etc. Certification organizations by nature and concept engage in a degree of selling to the customer of what they assume diving is all about. The reality of standardized training followed by most organizations produce a standard product, you the recreational diver. Did you stop to consider that most of the top certification organizations meet specific requirements specified from a regulatory organization outside of the concerned dive certification organizations? The regulatory organization that provides the standards that SDI and PADI operate under is the Recreational Scuba Training Council (http://www.wrstc.com/). So if everyone is being directed by RSTC, then what, in fact, is available to the organization to actually differ from one another. In truth after five years as a dive professional I see little teaching latitude within recreational diving and even less latitude available for technical diving. To be a safe competent diver you must learn, practice and test out to a specific standard. To remain a safe competent diver you must then dive as you were trained and seek retraining when you have periods of prolonged absences from the water. The differences lie in the marketing model used and most importantly the abilities of the individual instructors, and of course the dedication the new diver uses to uphold the standard of training they receive. All the infighting between instructional organizations boils down to this: some instructors can work with PADI and foster PADI's ideal of diving and some instructor work better fostering the concept of diving professed by SDI and other dive certification organizations. Would the recreational world of diving exist if there were no dive organizations? Of course it would!. Dive training would be provided by individual instructors who followed the standards of regulatory organization like RSTC. Dive training could also be obtained from the equipment supplier, who would in turn train divers based on RSTC standards or the standards by its sister organization in different countries. I asked Steve Riddle of PADI America for a summation of what PADI does for the dive community. This is his position. "PADI strongly supports and puts programs in place to bring new and old divers back into the sport. Of course many of our marketing efforts are geared to direct the consumer to a PADI Dive Facility but it also helps everyone who is connect in the Dive Industry in general." PADI is arguably the largest dive organization in the world producing more certifications than other organization. But are these certifications, producing divers who actually remain divers? Why does PADI need to put such a effort in bring back divers to diving? Why is there this need to bring divers back to diving? A simple explanation is that many people certified to dive have no real interest in the sport outside of a single experience and mistakenly sought or were marketed for certification instead of say a one time dive experience, which both SDI and PADI offer to the public. However the best way to address this is changing the current use of lifetime certification cards, but that my friends is a separate article. Fatimah Renfro became a PADI O.W. Diver in 1979. Between 1979 and 2000 she dived the west coast of the United States, and Mexico, Gulf of Mexico and the Florida pan handle and advanced to PADI DM. 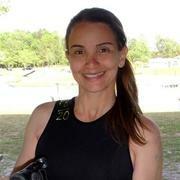 In 2002 she completed her IDC and left PADI in 2004 for the SDI family of professional divers. The decision to disconnect from PADI has lead to greater fulfillment as a dive instructor. She has over 3000 dives to her credit with experience gathered over the years from recreational diving, commercial diving school, sea urchin diver and scrubbing many a boat bottom in Santa Barbara, California. If you have any comments or questions, enter them here. Alternatively comment via Facebook below. As a diving instrucror forPADI, SSI and CMAS and a professional in sports business management I feel that the future is bleak for the diving community out there who sees diving as a from of freedom from the outer world. I will say the scary thing is not anymore what is the best cettification or agency, as we know it comes down to the instructor, but the impact of giants like Mares and Aqualung who both bought into SSI and PADI. This mean and it has already started the use of diving agencies to sell products.....the prospective diver is being milk without his/her knowledge from the word go from looking at dvds, books, pics ect. The products are being marketed to people through words such as safety, experience, good equipment and so on, the training material is the same but the use of semiotics into the dvds, books make me angry. It has become today a way to push equipment into people mind first and the course becomes secondary.